There is a journey of discovery when a child learns music. You will be amazed as some of the most talented young instrumentalists and singers from across Central Florida come together to perform their first concert of the season. 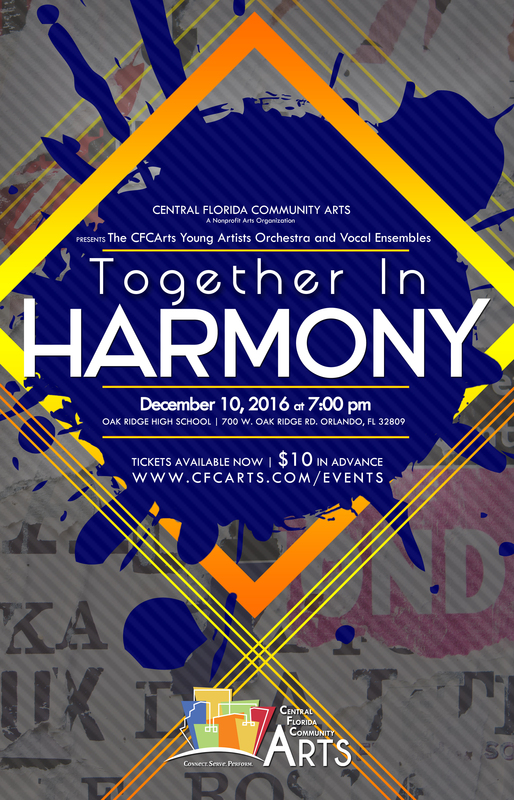 The Central Florida Arts Young Artists Orchestra is proud to present Together in Harmony, featuring Youth Vocal Ensembles in performance on Saturday, December 10 at 7PM. The concert will take place on the campus of Oak Ridge High School in the beautiful Performing Arts Center at 700 W. Oak Ridge Rd. Orlando, FL 32809. General Admission tickets are $10 each, and children age 12 and under will be admitted for free.